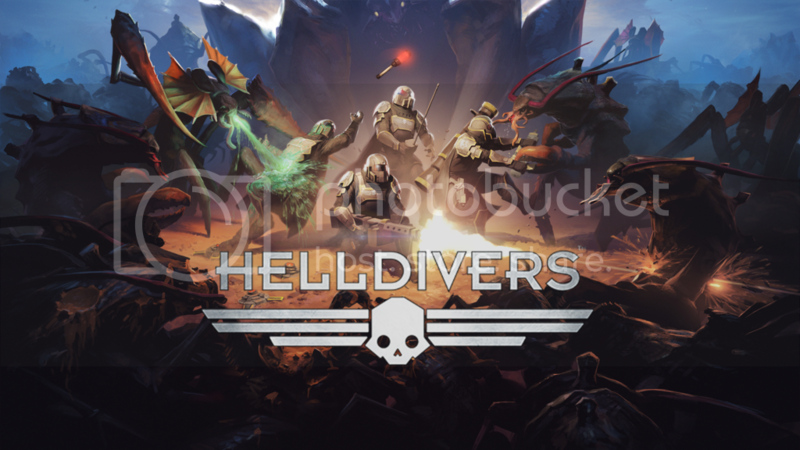 Helldivers is a top-down shooter game. You battle Bugs, Illuminites and Cyborgs. This is an interstellar battle to rid of these three races. It features couch or online co-op, or a combination of both, for up to four players. If you are a fan of the Starship Troopers franchise, this game is for you. This available in Playstation 3, Playstation 4 and Playstation Vita. If you battle against bug, then it is like playing a role as a Starship Trooper. It is well conceived game. It is best played with friends, either couch co-op or through online. I'd prefer couch co-op, that way, you get to call plans and communicate with your team. There are a lot of weapons, vehicles, defensive structures and call in airstrikes. You can call up to 4 drops or strategems every mission which you assign during pre-departure. Every level you gain, you earn experience and unlock new weapons or perks. Every mission there are rewards such as experience points or unlock strategems. One of the best things about the game is that it has friendly fire on. This means that you must be careful on where you point your gun, to avoid hitting or killing your team mate. Also, you need to watch out where the strategems drop because these can insta-kill you. The most thrilling part of the mission would be during extraction. 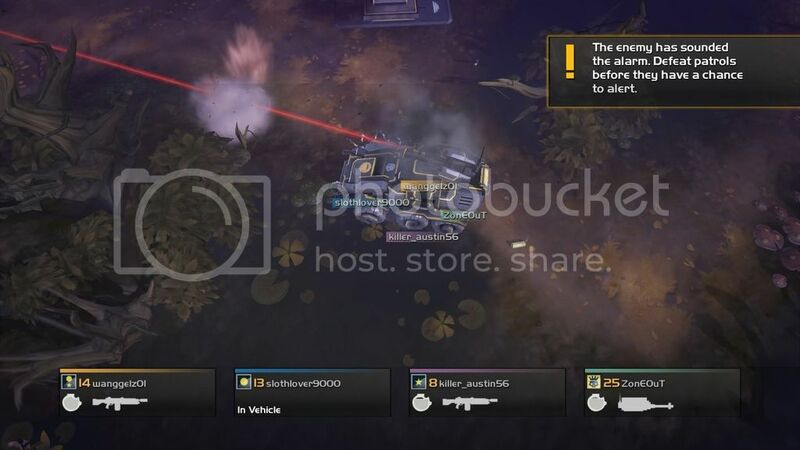 After completing objectives, your team would need to be extracted. There are LZ's or extraction points on every mission and you need to wait for the shuttle to arrive. 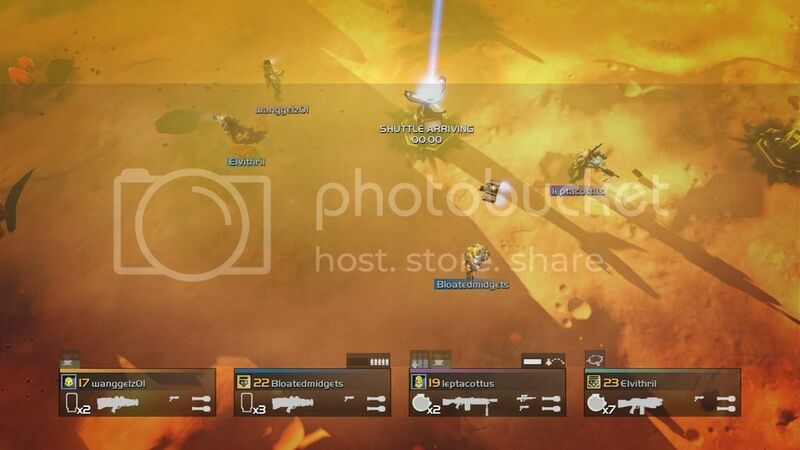 Within that time, chances are your team may get swarmed by the enemy depending on the planet's difficulty. I have been left behind countless of times and of course, this is a point against the team. This is probably one of the best games I've ever purchased, aside from Diablo 3 and Dragon Age: Inquisition. :O I really do hope that Arrowhead Games Studios, developer of the game, can port this on the PC or to other consoles, because it is such a unique and one of a kind game.